For households with three or more persons, this program provides a discount on electricity costs once your energy usage reaches certain levels. Currently, residential electricity is measured in five levels or tiers. The FERA program becomes active each month once your electricity use reaches the third tier. 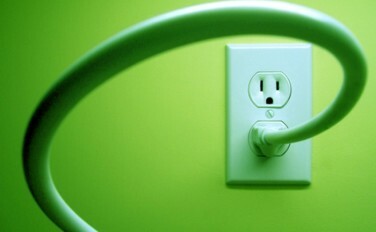 The electricity you use in tier three will be billed at the lower tier two rate, a savings of about 2 cents a kilowatt hour. The FERA discount does not apply to energy consumption within tiers four and five. 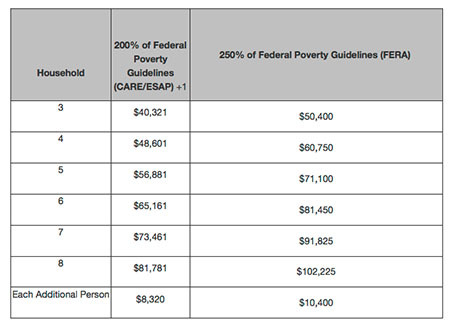 The income guidelines below are established annually by the California Public Utilities Commission. Available through PG&E, SDG&E and Edison. Call your company directly.